The Clark County Youth Shelter and Family Services is a community-based youth shelter and family resource. 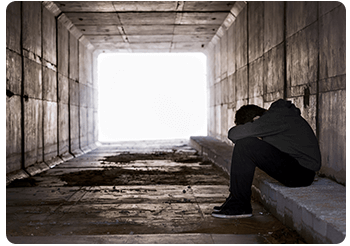 Our Youth Shelter is located in Downtown Jeffersonville, Indiana and provides youth in Clark and Floyd County a safe alternative when they have no place else to go and resources for families in need. Before our founding in 1986, the unfortunate reality was that local youth that found themselves in abusive homes or suffering from parental neglect or truancy would be locked up in the Clark County Jail. In 1984, Jim and Barbara Williams along with Edwin and Joan Crooks met with Judge Clementine Barthold of Clark Superior Court #1 to try and come up with an alternative to this problem. Community leaders and Judge Clementine Barthold responded to this awful truth and conceived the idea of a community-based youth shelter which would offer youth a safe alternative when there was no place else to go. As a result of their tireless efforts, the shelter was incorporated in 1984 and opened its doors on a September day in 1986. In the early days, the shelter provided only primary care (food, shelter, and clothing) and counseling services. The need for support services was immediately obvious and over the next few years, CCYS continued to add, refine, and expand programs to meet the needs of the youth and families served in the community. We continue to add new programs to serve the youth and families in our area based on our four primary goals: community education, juvenile delinquency prevention, information and referral, and youth advocacy. When a need develops in the community that fits into the Shelter mission, it is closely researched. If it fits into our mission, and grants can be found, programs are added to aid in strengthening families in our community. Most recently we have added the Safe Place program and oversee the program for Floyd and Clark County. Safe Place is a national youth outreach and prevention program for young people in need of immediate help and safety. Please visit our Safe Places page for more information. 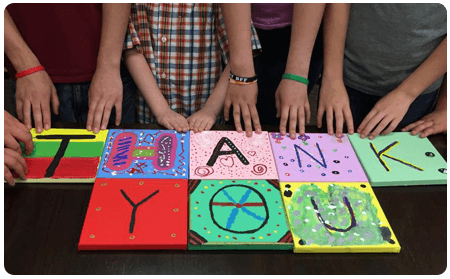 Special thanks to the residents, businesses and organizations that donated time, products, food and financial support to the Clark County Youth Shelter and Family Services, Inc. If you would be interested in making a financial donation please click on the button below or visit our contribute page for more information on how you can help the youth in our community. The Clark County Youth Shelter & Family Services, Inc is an Indiana non-profit corporation that is recognized by the IRS as a tax-exempt organization under section 501(c)(3) of the Internal Revenue Code. Contributions to Clark County Youth Shelter & Family Services, Inc are tax deductible. Please consult your tax advisor about your specific tax situation. Should you desire a receipt of your donation for your records please contact us. Special Thanks to the following for their Support of the Clark County Youth Shelter & Family Services, Inc.